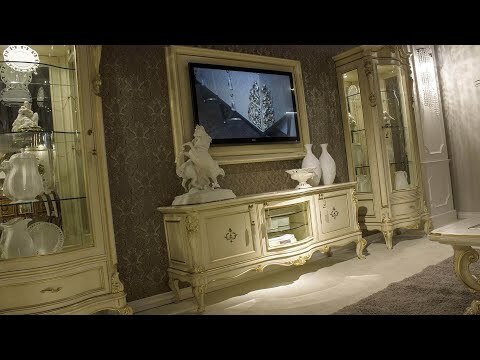 CP Mobili Di Pernechele Fabrizio & C. s.a.s works in the classic furniture industry for over 30 years, it has therefore many years of experience in the production of classic and country-style furnishings, it's a passion passed on generation after generation. CP Mobili may provide a wide range of products including: complete living rooms, bedrooms, bath furnishings and interior design items. The strong point is their polishing department inside the company, ensuring costumers a well-finished product and different type of finishings, in order to meet the most varied needs. CP Mobili is on tuning with the eco-sense production using , for the finishing processes of the furniture, non-toxic paints and materials, most of the work is done by hand, so colors and finishes can not be compared to rigorous assessment, but seen as uniqueness and beauty of the product. CP Mobili may personalize the product according to the customer needs and usually it designs the custom-made furniture. CP Mobili may do various projects including not only furniture but also wall wood panels, wood false ceilings, wood decorated floors, decorated leather/synthetic-leather.